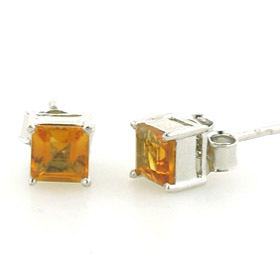 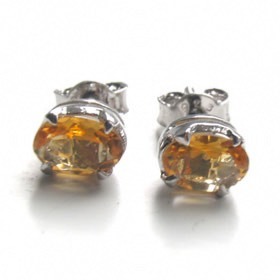 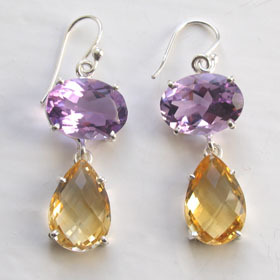 Citrine should not be confused with topaz which is a totally different mineral although similar in colour. 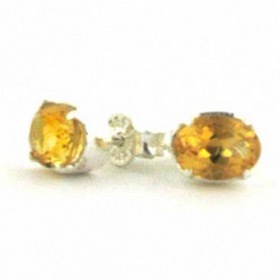 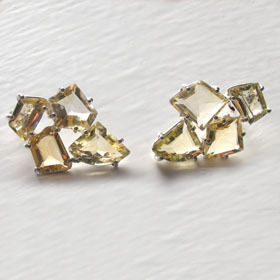 See below our citrine drops, citrine studs and stud and droplet designs. 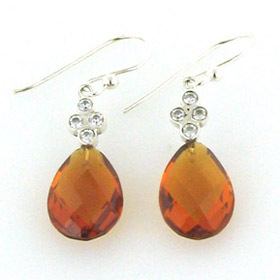 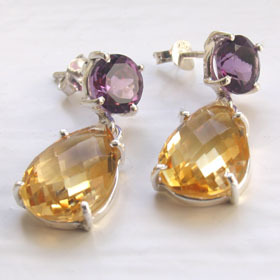 Citrine varies in colour from pale straw to a deep cognac colour (see Charlotte and Fenella below). 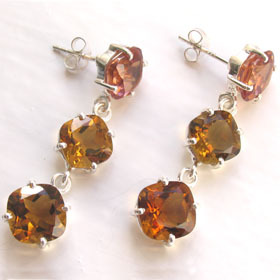 The colour is always warm and golden and works beautifully with natural colours as well as reds, golds, oranges and of course black. 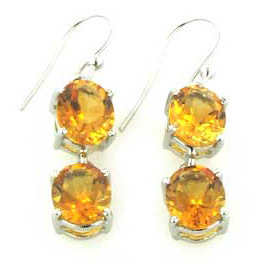 Take a look at our citrine pendants, citrine necklaces and citrine bracelets to make up a set.